Test your skills and be the first one to get all 6 balls in the six stacked levels with this hand-held pinball game! 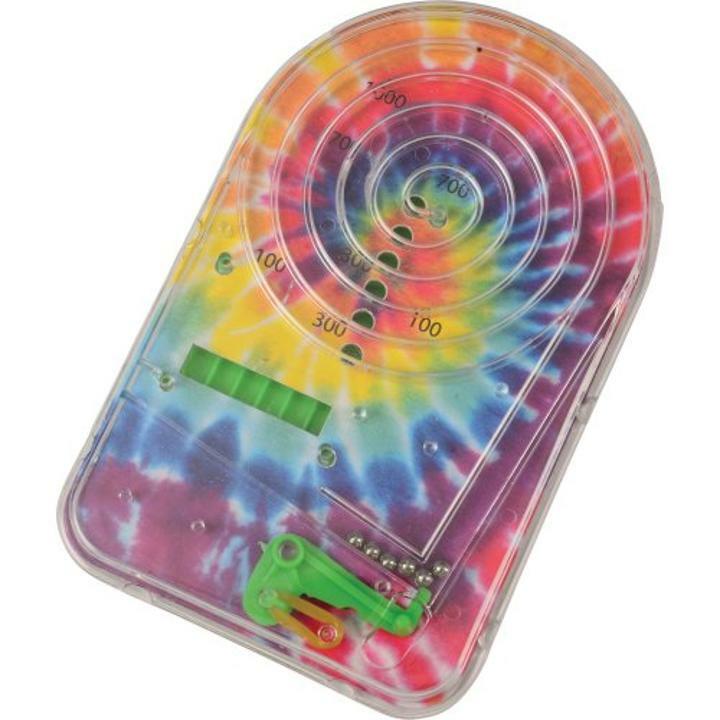 Featuring a psychedelic tie dye background, line up your ball with the lever, give it a quick pull and maneuver your ball as it spins to the next level. Perfect for kids & adults, these pinball games are a must-have giveaway for your next event! L: 2.0 in. W: 3.6 in. H: 5.75 in.